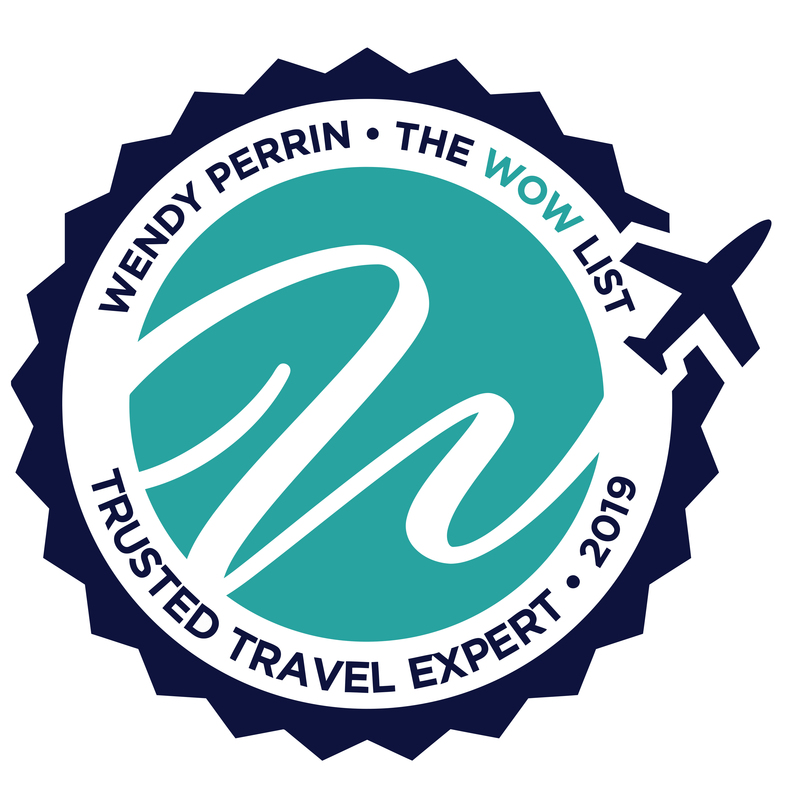 Zachary Rabinor and Brady Binstadt are on Wendy’s WOW List of Trusted Travel Experts for their expertise and connections in Mexico. The reviews below are from real travelers who’ve taken trips that were arranged by Zachary and Brady and monitored by Wendy. Don’t miss Zachary’s Insider’s Guides to Puerto Vallarta, Mexico City and Riviera Maya, Mexico. Zach responded to my initial email right away with a personal phone call, and was warm, funny, and a good listener. He quickly narrowed in on the right trip plan for our family, suggesting that we stay at The Fairmont Mayakoba and take day trips to explore ruins and nature. While the Fairmont is part of a very large resort complex, the service was excellent and it didn’t feel overcrowded. Our kids loved the beach, pool and activities and everything was easy. We went out to dinner and restaurants in Playa Del Carmen recommended by Zach’s group, and the food was very good, even if the town is extremely touristy. We took day trips to the ruins at Tulum and Chichen Itza, accompanied both times by very nice and knowledgeable guides. We also had a beautiful boat ride and “float” in a nature preserve, which was a special and usual experience. Many thanks to Zach and his crew for an excellent trip, and we will be back. Everything went very smoothly. We had a knowledgeable and genial guide, a beautiful hotel room, and safe and comfortable car transportation. We made a few minor changes mid-trip and those were handled very efficiently. We will definitely use Zach’s team for our next trip to Mexico. I can’t say enough how having Arturo by our side made these places come to life. One of the highlights was a cooking class at Casa Jacaranda that we would highly recommend. We found Zach and his team to be very knowledgeable and helpful in planning our first trip to Mexico City. We were provided with many options of activities over 6 days which we were able to refine based on our particular interests. One of the highlights was a cooking class at Casa Jacaranda that we would highly recommend. Another highlight was the hot air balloon ride over the Teotihuacan pyramids. We were offered a private balloon ride but opted for the group ride which was fine and saved a lot of money. Same ride, just a few more people in a larger basket. We also were really pleased with the private guide (Alfredo) that Zach arranged for us. Great trip and kudos to the entire team. Zachary’s resources and persistence made it possible for our family to enjoy a wonderful holiday trip. Just before giving up my trip planning as impossible, I turned to Zachary Rabinor to see if he could help with the logistics. Although we had been to Mexico about 20 times, the planning of this particular itinerary stumped us. Our family of four wanted to spend 3 nights in Oaxaca at Christmas for the Radish Festival and the colonial and prehistoric attractions in the area. And then, we wanted to travel to Huatulco for 3 nights at the beach. Minimum stay requirements of 5 or 7 nights presented obstacles. Plus, traveling from Oaxaca to Huatulco by mountain road would be long and treacherous. We could fly, but would have to go through Mexico City, wasting a day. Zach drew on his relationships, avoided minimum stays and secured outstanding hotels: Quinta Real Oaxaca (an exquisite former convent) and Camino Real Huatulco (a low-key beautifully designed seaside resort), both with well-located rooms. To make it all work, he identified non-stop flights that were not readily accessible to us online. And the best of all, he provided Gabriel, an outstanding guide in Oaxaca. Gabriel is the alpha educator of choice for universities and Smithsonian visitors. We benefited from the depth of Gabriel’s knowledge of history, nature, art and architecture. Zachary’s resources and persistence made it possible for our family to enjoy a wonderful holiday trip. We had a very special week in Tulum with family from across the country and Australia. We booked 10 months in advance and it’s hard to believe it’s over. Jessica and others on Zach’s team were terrific and helped us choose a wonderful villa. The villa was perfect for our needs – spacious for everyone to spread out and beautifully located. The staff, especially the concierges, the on-site caretaker, and our hired waiter (an excellent addition both for serving drinks and for after-dinner clean-up when the chefs went home) were terrific and every request was immediately attended to day and night. We felt pampered. My niece said her favorite part of the trip was “living like a princess for 8 days”. The number of people wanting to help us was almost laughably silly. First there’s Zach’s on-the-ground staff ready for any request. Then, upon arrival we met another team who welcomed us – I think they were from the company who manages the booking of the villa, then arrived another concierge (part of a pair) who came by once or twice a day to again see if we needed anything. My biggest issue/feedback was that somehow our noted dietary requests were not communicated to the chefs. Finally by the last 2 days all was in order. Overall quality of food was fine to very good depending on the meal and no one left the table hungry. The number of avocados we went through was astounding! The excursions offered by Zach’s team are quite expensive, though I know from previous experience are excellent. This time we booked our own tours at a fraction of the price and were very pleased. Airport arrival and departure arrangements were great. On the way out, our hands were held all the way through to security. I would not hesitate to call on Zach and his team for future travel. I thought that the trip was unique. Mexico City is so close, but the culture is far different from our own. In the short time we were there we saw art and historical locations that provide insight into a vast and complex culture. 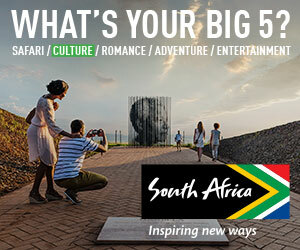 I appreciate the planning of the trip as the logistics are complicated by the number of people and the number of cars. We enjoyed our time and thank you for introducing us to such a skilled planner and guide. Our specialist sent us to a boutique hotel we would not have known about and arranged the Chichen Itza, swimming in the Cenote day, which was wonderful. The guide and driver were great. The trip was seamless. I have a son with a cardiac condition. Zach Rabinor helped me identify the top cardiologists in Cancun and finally the only expert in arrhythmia. With that info, we selected a great hotel not too far from the relevant hospital in Cancun, yet in a super family oriented resort (Fairmont Mayakoba). This was invaluable to our family of 6. Thank you, Zach. Thank you, Wendy. We did all of this in just a week. From start to finish, Zach Rabinor and his team were absolutely fantastic. They listened to all our ideas and concerns for our family vacation, and then tailored an incredible itinerary that satisfied all five of us (parents and three boys ages 16, 13, and 8). In fact, it was perhaps a little too incredible. So I was really impressed when they were able to suggest ways to bring the trip within our budget and still have some great experiences. Once we decided on the itinerary and moved into the planning details, our travel specialist was always accessible, timely with her communication, and clear on what was needed to finalize the trip. On the trip, everything went according to plan. But we wanted some last minute changes, like making dinner reservations at certain restaurants we had just heard about, or–much more complex–taking a day trip to a couple of towns a few hours away. Our travel specialist was able to work quickly to set things up and accommodate us. Here are the things we did on the Yucatán Penninsula (Mexico): hiked and swam through a cave with an underground river, visited two important Mayan ruin sites, floated down a beautifully clear Mayan canal, took a short jungle walk through a nature preserve, stayed in a family-friendly resort with beach access & a range of activities for the kids & GREAT food, spent a day exploring two beautiful colonial towns where we hunted for traditional textiles and folk art. We did all of this in just a week. There is no way we would have been able to do all that without Zach and his team’s help. They arranged transportation and a guide (when appropriate), knew just how to time our activities to avoid traffic and lines, and picked things that would suit all of us. I would highly recommend them to anyone traveling to Mexico, and I plan on using them in the future. Zach and his entire team were a pleasure to work with. They went out of their way to be in touch with the hotel and to ensure that we received the highest level of service. I’d work with him again in a minute. This review is more than a little late. We traveled with Zach in December 2014. We could not have been more pleased. His drivers and guides were outstanding, making sure that we saw a lot off the beaten path. A good part of the trip was not on the regular tourist route, which was particularly interesting. And he checked in regularly, making sure that the logistical details were working. We particularly appreciated that when the room in our hotel did not have hot water on our first night, he made sure that it was promptly fixed. I would use him again and highly recommend his services. Extremely responsive, generous, and concerned. We traveled to Mexico this past week and Zach and his team were fantastic. We were greeted by warm and friendly people and the transportation was always in first class vehicles, and always right on time. I had unfortunate experiences with one of the tours while I was on vacation and I can say that Zach and his team were extremely responsive, generous, and concerned. This is what you need when you are in a foreign country. Every single person I dealt with was terrific. The selection of where to go in Mexico, and which hotel was flawless. I would highly recommend him. Zach and Jose on his team were extremely efficient and helpful in making our plans, and our tour guide and driver for our day trip were really wonderful–very knowledgeable and professional. Our lunch at Coqui Coqui was exceptional–truly delicious (and we are “foodies” from San Francisco!). The waiter there was very very sweet and really tried hard to provide top service. The only big disappointment was that I thought Coqui Coqui Coba was on the beach; I think I either received a photo of the old Tulum Coqui Coqui, or found one online when researching, and mistakenly thought that was Tulum Coba. Of course, I should have realized it when I saw the map that it was inland, but I think I got enamored with the photo of the beachside restaurant and just assumed that would be our venue for our romantic anniversary lunch. Also, I feel like I need to share that I do think the excursion was quite expensive. I believe, however, it was probably consistent with the higher prices overall on the East Coast of Mexico; we have more experience traveling to Puerto Vallarta, where I think the prices are generally lower for comparable experiences. We will definitely work with your team again. We have had absolutely wonderful experiences with your recommended planners when you were writing for CN Traveller, so your colleagues have become proven, trusted sources. Thank you so much. The more specific you can be in your requests, the more satisfied you will be with the result! We had a fantastic vacation planned by Zachary Rabinor and his team in April 2017. After spinning my wheels for several weeks searching for the perfect Mexican villa to celebrate a 50th birthday, I called in the expert Zach and his team. In very short order, they found us the perfect villa – one which was not listed on the other public sites. It had all the amenities we had asked for and was available during a busy holiday week. As always, the more specific you can be in your requests, the more satisfied you will be with the result! The planning process went very well. Zach’s staff took care to get all the needs and preferences of all attendees prior to the trip. The villa was stocked with our favorites. Excursions were planned and enjoyed – catamaran snorkel and a multi-stop day tour along in and around Tulum, golf, massages etc… The highlight was a float on the sian kaan biosphere. One note, we use private guides on almost all our trips and they are often a highlight. However, while our guide that day was pleasant she did not really connect very well with the group. The villa was perfection – location, beauty, and most importantly the incredible staff that took care of us. Also, Journey Mexico always had a local representative available to us for any changes/requests once we departed. They were all exceptionally courteous and helpful. I would not hesitate to recommend Zach and his team and would use them again for future vacations. This was a very simple trip. Basically we booked a hotel and transport to and from the airport. The journey ran smoothly. Exceeded expectations. Great guide, excellent drivers, everything we wanted. Well worth it. Our experience with Zach Rabinor and his team were excellent. We had many communications before the trip and they met our expectations. We were met at the airport by someone who introduced us to our driver and tour guide. Both our driver, Rodolfo Raya and especially Ariuska Herrera did an excellent job in their roles. Ariuska was one of the best guides we have ever had and we strongly recommend her for any Mexico City tour. Periodically the company would check in to see how everything was going. I found the people to be very professional and attentive to our needs. Zach Rabinor and his team are a top notch operation who will go the extra mile to be sure you have a flawless trip. At each stage from planning, to arriving , touring, and departing someone is there. The guides are extremely knowledgeable and flexible. We saw and learned so much. Muchas gracias to Alejandro, Francisco, Jose Luis, and Olivier who showed us how magical Mexico City can be. We had a great experience traveling through the Yucatan. We enjoyed the private tours, especially the early morning tour of Chichen Itza. We would recommend Zach Rabinor. Zach and his team organized a very good trip for us. They suggested a more comprehensive visit to Mexico than we were in the mood for and adjusted it perfectly to suit our needs. Either next year or the year after we will book with them again in order to see more of the country and to go back to the incredible Rosewood Mayakoba. Got us access to the best tours. Zach planned two full day excursions for us in Mexico. Both went quite well, with a knowledgeable and professional guide, although there were a few hiccups here and there; I don’t expect perfection. The best thing about Zach is that he was able to put this together on short notice, and got us access to the best tours. I rarely use travel agents, but experiences like this make me think I should do it more often. Zach and his team, especially Mabel Gutierrez, did an amazing job helping us plan our honeymoon to Mexico. We stayed at the Hotel Mousai in Puerto Vallarta at the end of September to early October 2015. Zach and Mabel were incredibly easy to work with, providing us many options to choose from in different areas of Mexico, with great tips on places to go and stay, and things to do in each place. It was through their vigilance finding us the best options that we found our eventual resort, Hotel Mousai. This particular resort was not even on our radar until they brought it to our attention. But it completely blew us away with how amazingly beautiful the resort was, especially with its views of the coast surrounding the Puerto Vallarta area. Mabel arranged for our stay, as well as our transportation to and from the airport, including transportation to and from the maritime terminal. Overall, we had a great experience on our trip, in large part because of Zach and Mabel’s excellent service through Journey Mexico. Thank you so much for your help with our vacation to Mexico. We had a great time. The Hotel Esencia will become one of our favorite hotels of all time, the staff was great. The airport pickup was nice, but the airport departure was fantastic. Your staff helped us navigate the check-in and was there to see us off. So, so nice. If we had more time, I would have preplanned a lot more adventures ahead of time. The concierge was great at booking trips last minute, so it worked out. We are thinking of doing Mexico next year again instead of Hawaii! We just got back from a fabulous week in Puerto Vallarta that was arranged by Journey Mexico. Zach had upgraded our room at the Garza Blanca and it is a stunning property. The list of to do’s and restaurants off the property were fantastic ! We did not realize that PV is a foodie’s destination. If we go back to PV we will take Zach’s first recommendation on the property of Hacienda San Angel. The boutique hotel was quiet, beautiful, in the heart of PV overlooking the city and the food is gourmet. Next time we will listen to Zach when he suggests where to stay, rather than thinking we know better! We are planning our next winter getaway on the east coast of Mexico on the Caribbean and we cannot wait to see what hideaways they will find for us! I have used your recommendations for about seven years to plan trips to Greece, SE Asia, Africa, and Israel. All of the travel agents were excellent. I contacted Zachary Rabinor last spring and have since used Journey Mexico twice. Both times, Zach quickly passed me off to one of his associates. Perhaps my trips were not that complicated, not sure the reason he passed me off. Although I did think their service was good, it was a more typical kind of travel experience. The first trip I took was last minute and very specific. However, the second trip I took was much more wide open and I wanted help in deciding where to go—with the exception of knowing that I wanted to visit San Miguel de Allende. After that, I was open to going to other places in Mexico but had difficulty in getting them to express a real opinion. We ended up in Punta Mita which was really not my cup of tea—too isolated and not much cultural experience. I will say that when we left San Miguel, I left something in the hotel room. Ileana, in the Journey Mexico office, did an outstanding job assisting me in retrieving my item. I would book with Journey Mexico again but I can’t quite put my finger on why I would not rate them quite at the same level as the other experts of yours that I have used in the past. For several years I have wanted to write to thank you for your valuable information and guidance.